A majestic French inspired Tudor set on sprawling corner lot w/sweeping picturesque views of Lk Harriet. Timeless brick exterior, multi-gabled rooflines with ornate detail, classic slate roof, arched entryways, custom hand-crafted ironwork, one-of-a-kind stained glass accents and priceless historical character. Exquisite living spaces merge with lush park-like yard. Lrg owner's ste ovrlkng lake, sunrm, main lvl FR, private rear stone patio and amazing lot! I was searching for a Property and found this listing (MLS #5013913). I would like to schedule a showing for 4701 E Lake Harriet Boulevard Minneapolis, MN 55419. Thank you! I was searching for a Property and found this listing (MLS #5013913). Please send me more information regarding 4701 E Lake Harriet Boulevard Minneapolis, MN 55419. Thank you! 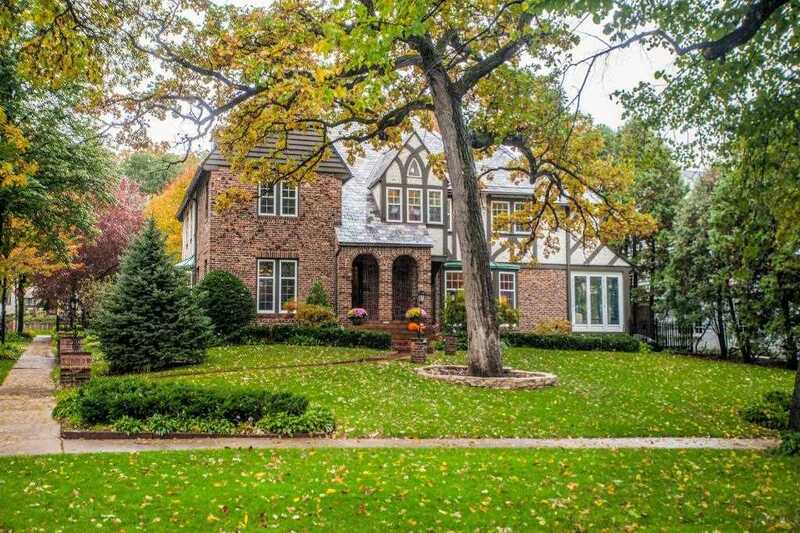 MLS # 5013913: This property at 4701 E Lake Harriet Boulevard, Minneapolis, MN 55419 is located in the Lynnhurst subdivision and is listed for $1,500,000. MLS # 5013913 has been on the market for 187 days.